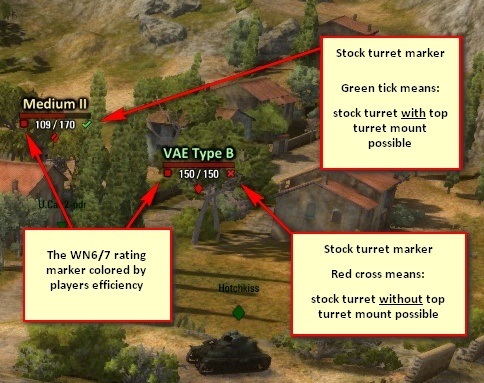 The mod is in developement since WoT's closed beta back in 2010, and is one of the first icon mods ever created. The purpose of it was to replace ugly, and useless contour icons in favor of colored vehicle names. With my icons you can have much better battle awareness, than the others players who uses default set. You can identify enemy vehicle class with a blink of an eye, you will never be supriced like you can be with built-in icons. Download and install required fonts from Link Removed: http://www.mediafire.com/download/tz444r7qeu3c837/fonts.zip . Otherwise you may see colorfull squares instead of vehicle names, stats and symbols. Sorry but Aslains_XVM_Mod_v.9.20.2.02 doesn't load my tanks in the hangar (an empty list but maybe the current tank is displayed). I can only resume play by deleting the mods. I use them often so I'm pretty sure all files were in the right location. Went through all the chat history, but didn't see where I should put the font. I downloaded it but don't know where to put them :p. Any help would be great! Thanks for the Mod & updates...is there any way to increase the zoom out on the camera view? I am looking to modify the battle interface. I specifically want my icons along the top/middle showing remaining tanks/type back. Can someone point me to the instructions for that change? 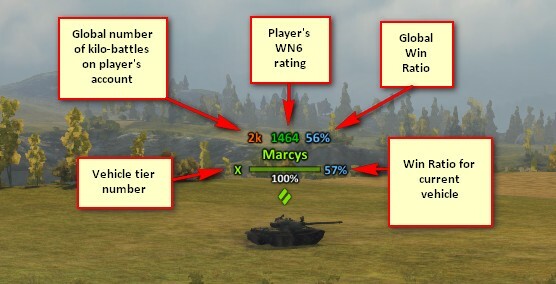 Is there any way to see stats on my tanks in garage! 2 Row carousel look like BLAAA I got to run on low screen resolution, cant see stats in garage on tanks in carousel ,unless I turn screen resolution on Highest setting but cant play game on that setting too much lag. Well I can't get the installer to open up to install it I would like to try your mod pack so can you give me some Help ? 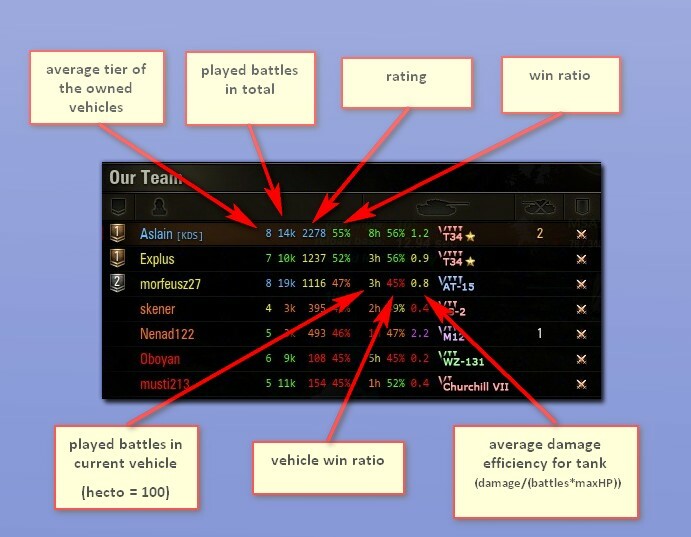 On the screenshots, one of them shows the stats for the tank of your team members, that doesn't show for me. It just shows the ranking and percent of winning and battles played. Try now, I updated it. Ok, this could sound weird, but i downloaded that fonts rar file from the link above, and i extracted the fonts files directly on my desktop suddenly my laptop froze, i restarted and it work fine in start screen (windows 8.1) until i click on desktop my laptop go freeze again every and every time. until i somehow deleted these files from desktop then my laptop works fine. These are just font files, strange, nobody reported such problem yet. 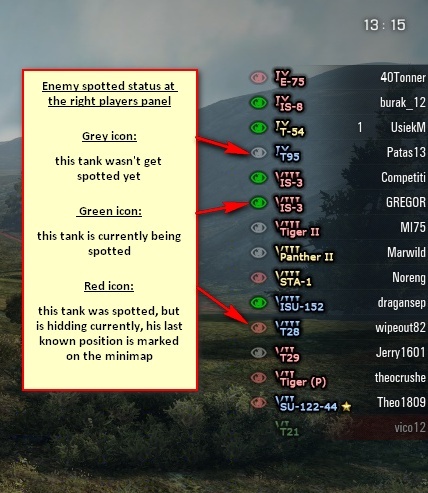 part of your mod does not work, doesn't show enemy tank names. Sorry pal, BIG fan of this mod but this last version (9.15.1.1) is big pile of thrash. Hotkeys not working at all. No damage text, tanks have only type icon above, ... Looks like work in progress. :( I hope for quick fixing of this. Nah, I even redownloaded it from cruse to check, all is fine. Try my installer if you have problems, then make a report on my forums.